Darren Weir has trained Mrs Gardenia and Bellaria to dead-heat in a Memsie Stakes day support race. 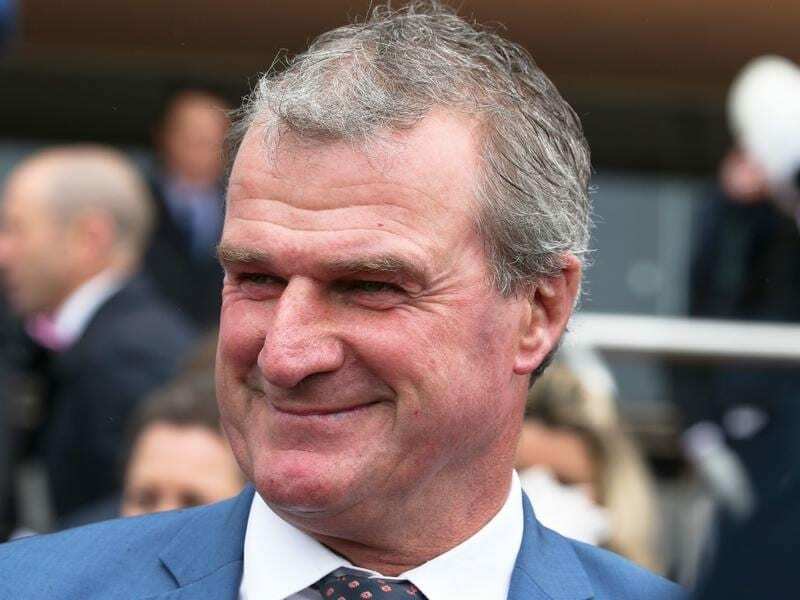 Darren Weir has trained more than 3500 winners but landed a career-first when Mrs Gardenia and Bellaria dead-heated at Caulfield. The Weir-trained pair shared the spoils in Saturday’s Hockingstuart Handicap, the first time the trainer has had two horses from his stable dead-heat a race. “It’s a good way to keep the owners happy I suppose.,” Weir said. Dean Yendall partnered Mrs Gardenia with Damien Lane aboard Bellaria and Lane asked to see the displayed image before correct weight was posted. Lane wasn’t convinced but accepted the judges call. “If it wasn’t for the same trainer then I’d be pushing the point a bit more,” Lane said. Weir has spring hopes for Mrs Gardenia while Bellaria is heading to stud for the upcoming breeding season. “I think Mrs Gardenia has a good win in her, especially as she steps out in trip,” Weir said. “It would be great if she could win a stakes race while with Bellaria it’s great to get a Saturday win with her.